Te Paiaka Lands Trust was set up in 2002 following the amalgamation of the land blocks Tihiotonga A, Kaitao Rotohokahoka 2Q and Horohoro 2A and the return of the blocks from lease. Te Paiaka also leases other blocks of land at Tihiotonga and at Horohoro. Te Paiaka Lands Trust is a whenua tōpū trust. The key principle behind the whenua tōpū trust is that the lands are owned collectively by all the hapū members listed on the register with each person having an equal share. This is in contrast to other types of trust where increasingly larger numbers of individuals succeed to smaller shares of Māori land. 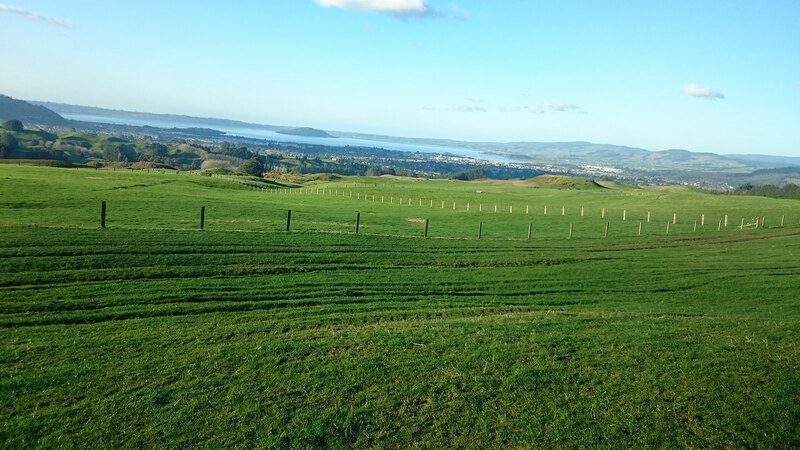 Te Paiaka land management began as a grazing enterprise, primarily for dairy cows, as well as trialling a ‘technosystem’ for intensive beef production. However the technosystem for beef bulls proved incompatible with large numbers of dairy heifers on the farm! Therefore Te Paiaka has now been concentrating on increasing our numbers of own stock used for beef and sheep trading while still providing high quality dairy grazing. This combination of activities has proved successful and Te Paiaka is now an important commercial development for the hapū.